With so much to see and do, you’ll have to make many trips to NYC to fit it all in—but we’ll get you started with a jam-packed three-day itinerary. Begin the day at the Upper West Side’s American Museum of Natural History or the Upper East Side’s Met Fifth Avenue. Geography and interests will play roles in your decision, but you can’t go wrong either way: both venues offer plenty of enthralling material for younger and older kids. 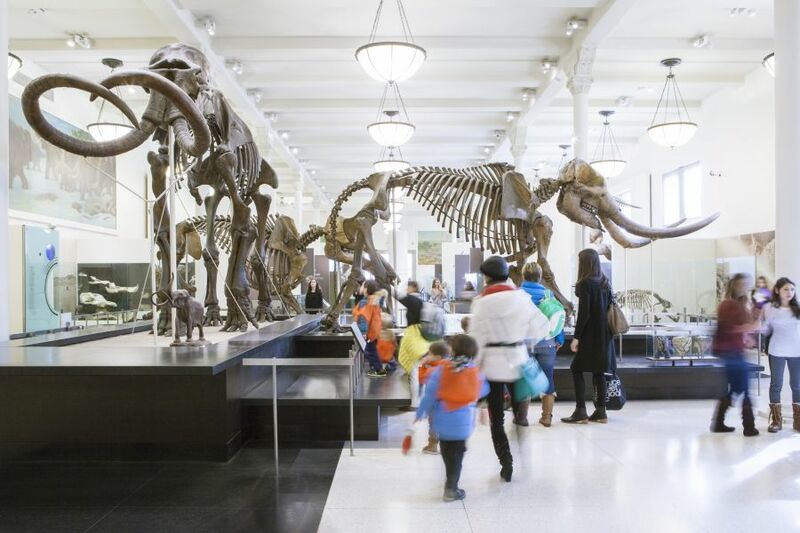 At the American Museum of Natural History, kids of all ages will love visiting the dinosaur halls and seeing the many fossils and models. In early 2016 a new addition—a cast of a 122-foot-long specimen known as the Titanosaur—made its debut. The museum’s Discovery Room, meanwhile, offers plenty of hands-on fun and learning geared toward the 5–12 age group. Throughout the space, teenagers will find much to whet their curiosity about biology, physics, astronomy, mineralogy and other scientific fields. At the Met, pick up a family guide at an information desk and inquire about that day’s activities, which often include kids’ tours and sketching or craft projects. The older set will enjoy the incomparable showcase of artwork and world culture on display; the armor collection and Temple of Dendur tend to be fail-safe sections. At either museum, you could create a kind of scavenger hunt by visiting the gift shop first and buying some postcards of pieces or exhibitions that catch your fancy—and then trying to find the actual items. After this initial dose of culture, let the kids burn off some energy in one of the spectacular playgrounds in Central Park; the green space is convenient to both museums. Teens will enjoy a walk through the grounds and its diverse terrain or a bike ride through the greenery; pick up some wheels at Bike and Roll (with three locations in or around Central Park) or a Citi Bike station. If an indoor playground (of sorts) is more your style (or necessary, thanks to Mother Nature), head to the Museum of Natural History’s neighbor, the DiMenna Children’s History Museum at the New-York Historical Society. The downstairs museum-within-a-museum holds interactive displays and an extensive library, which has a regular Sunday story hour. Kids can become history detectives, discovering NYC’s past through hands-on games and a full slate of programming. The NYHS also offers a fantastic opportunity to learn about the history of NYC in ongoing and special exhibitions. At some point make your way down to the Central Park Zoo, at Fifth Avenue and West 64th Street. In the section geared especially toward young kids, the Tisch Children’s Zoo, you can feed African pygmy goats, see Vietnamese potbellied pigs and fall under the spell of Patagonian cavies. Afterward, grab a New York City hot dog and salted pretzel from a park vendor. Exit the park at Fifth Avenue and West 59th Street to emerge right near the giant glass cube of the Apple Store, a tech-filled wonderland that will keep the tweens and teens happy for an hour or three. Stroll down Fifth Avenue and do some window-shopping until you hit Rockefeller Center, which begins at 50th Street. The plaza is a fun place to hang out any time of year; in wintertime, go for a skate in the ice rink and behold the giant Christmas tree that towers above it. Elsewhere in the complex, the new Shop at NBC Studios is the place to pick up standby tickets for TV show tapings; it’s also where you’ll begin the revamped tour at NBC Studios. And be sure to visit the Top of the Rock Observation Deck, where you can see the entire City in all its skyscraping grandeur. From your high-altitude perch, you can point out the art deco Chrysler Building and Empire State Building to the young folk. As you examine the now-miniaturized landscape of Central Park, see if you can pinpoint the places you’ve been—an engaging exercise for viewers of any age. After a good night’s rest, you’ll be ready to venture through town again. Start downtown in SoHo at the Children’s Museum of the Arts, where there are always fun crafts projects underway. If in search of something literary, head to McNally Jackson, a bookstore that hosts YA authors for talks and features a youth-focused Tumblr. Follow the morning of creativity and literature with a stroll through Chinatown to shop for bargains. Once you’ve worked up an appetite, sample the soup dumplings (deliciously addictive doughy pockets that have the soup broth on the inside) at Joe’s Shanghai or 456 Shanghai Cuisine, or go for dim sum at a place like Jing Fong. If you have any room left, go north across Canal Street for some dessert in Little Italy, where mouthwatering cannoli, zeppole, tiramisu and, of course, gelati abound. Now that you’ve refueled, catch a taxi or a nearby subway line (either the 2, 3 or F) to Prospect Park, where you’ll find everything from bicycling and fishing to drum circles and butter churning. Check out one of the numerous playgrounds—the Imagination Playground and the Donald and Barbara Zucker Natural Exploration Area are both recommended—roam through the borough’s only forest or ride the park’s carousel, a 100-year-old gem that features beautifully carved horses and other creatures. That attraction is located in the Children’s Corner, which is also home to the Prospect Park Zoo. Offering additional outdoor fun, the LeFrak Center at Lakeside, near the southeast corner of the park, has a covered rink for roller-skating in warm weather and ice-skating in the cold. Lakeside’s Bluestone Café serves sandwiches, snacks and drinks no matter the season. Take advantage of Manhattan’s waterfront access by going for a (free) ride on the Staten Island Ferry, during which you can admire the stunning views of the City, the Statue of Liberty and Ellis Island. 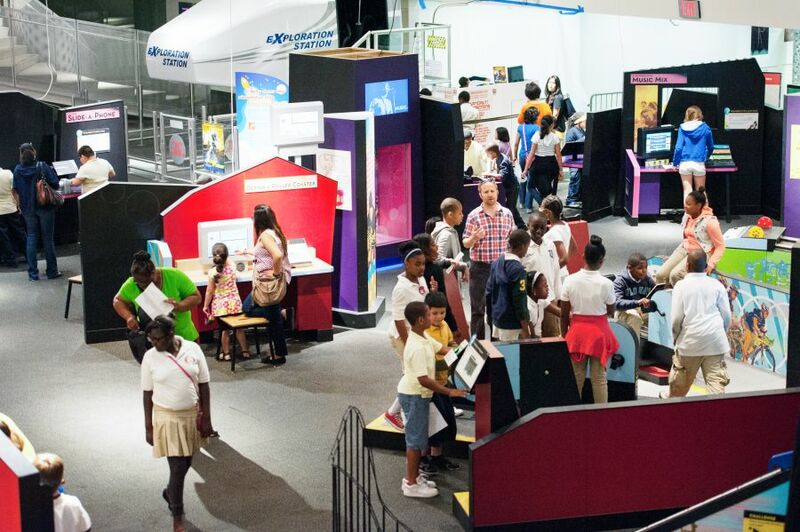 Once you cross the New York Harbor, catch a bus to the Staten Island Children’s Museum, which has a multitude of interactive exhibitions and hands-on activities. The museum is part of the Snug Harbor Cultural Center & Botanical Garden, 83 acres of gardens, galleries and performing-arts venues. See some art, catch a show or just revel in the natural beauty of the greenery—especially prevalent at the New York Chinese Scholar’s Garden, a meditative reprieve from the bustle of the metropolis. Once you ferry back to Manhattan, saunter along Battery Park’s waterfront esplanade. Stop at one of the restaurants along the walking path, or head to Hudson Eats at Brookfield Place, an upscale food hall with local purveyors of sushi, barbecue, bagels and plenty of other options. Also on-site is Le District, a French marketplace where you can teach your kids the difference between a pain au chocolat and a chausson aux pomme. One similarity: each is déliceux. Afterward, the kids can run around at the Nelson A. Rockefeller Park playground (off River Terrace, along the water)—there’s climbing equipment, animal-shaped sprinklers and plenty of sand in which to cavort. The nearby large-scale Irish Hunger Memorial garden installation, featuring a beautiful field, quotations about hunger, a stone cottage and flora native to Ireland, provides a place for exploration and reflection. Interested in further cultural expeditions? Head back uptown to the Museum of Modern Art (MoMA) to spend some time in the outdoor Sculpture Garden, weather permitting. There’s plenty of engaging film programming and art inside, of course. Hop on the 7 train to Queens for hands-on exploration at the New York Hall of Science, or get a super close-up view of primates at the Congo Gorilla Forest at the Bronx Zoo. For a final treat, head to Dylan’s Candy Bar in Midtown—across from Bloomingdale’s, on Third Avenue—where kids can fill bags with M&M’s in every color of the rainbow, gummies in shapes like snakes and cola bottles, and chocolates galore. Or end the day sitting at the shop’s café, indulging in an ice cream sundae. New York City never tasted so sweet.